The sun is a source of free energy that can be used in our buildings for heating, to produce hot water and to produce electricity. The main difference between photovoltaic (PV) panels and solar thermal panels is that PV directly converts the sun’s light into electricity. Solar thermal panels heat water from the sun’s energy. Following the ‘Energiewende’ success story in Germany, the common perception that PV panels for electricity generation were not viable in northern latitudes has been disproved and shown that it can work well with appropriate site selection. Furthermore, due to a confluence of factors, such as EU subsidies and an excess of manufacturing capacity, the unit cost of electricity from PV has dropped by 80% over 5 years and is now nearly on par with coal, one of the cheapest electricity generation source. 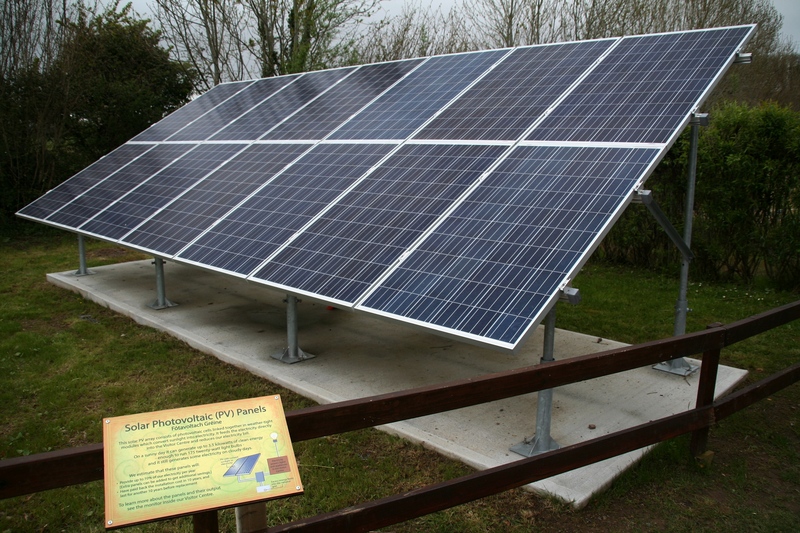 In conjunction with the Tipperary Energy Agency, Tipperary County Council recently completed the largest installation of PV panels in Ireland, increasing the national PV capacity by 44% in a single project! In light of new PV panel costs, an updated assessment of the west of Ireland’s climate and future cloud cover is necessary to calculate the suitability of Galway’s public and private roofs for an optimal roll-out cost of PV electricity generation. Solar thermal panels are a relatively simple technology, are currently being manufactured in Northern Ireland and could be manufactured in Galway. Solar thermal panel systems can supplement and ultimately replace fossil fuel fired boilers to generate hot water for homes, other buildings and certain industrial processes. Opportunities for substantial cost savings exist for users of larger quantities of hot water such as hotels, B&Bs and large families where payback can be as short as a few years.